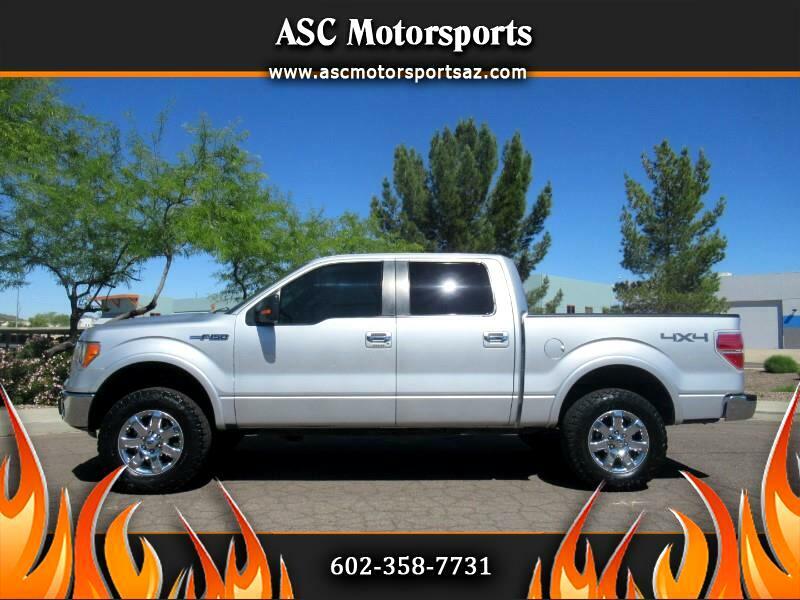 2010 Ford F-150 Lariat SuperCrew 5.5-ft. Bed 4WD !!! Beautiful truck with 116K miles on it, silver exterior, black leather interior, ice cold A/C, power windows, power locks, power steering, cruise control, tilt wheel, AM/FM stereo, CD player, parking sensors, tow package, tinted windows, sliding rear window, moon roof, power mirrors, automatic transmission, bed liner, power seats, 18" factory wheels, good tread tires, priced at only $17,888+ tax title and doc fees!!! Out of town buyers ~ We can assist with shipping to your door or pick you up from skyharbor international airport!